Scandyna Minipod gets a makeover to create MkII | What Hi-Fi? 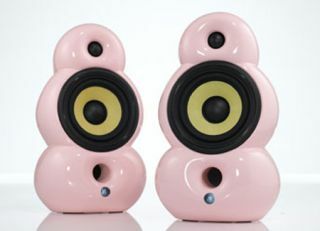 The distinctive Minipod speaker from Danish company Scandyna has had its first upgrade in 20 years. The Minipod MkII has an improved crossover and drive units. The 12.5cm mid/bass driver has been redesigned and now features a new four-layer aluminium voice coil to improve efficiency. At the same time the crossover has been upgraded to incorporate the new driver and, to make the most of the improved bass response, the crossover has been extended down to 2700Hz from 3000Hz. You can buy the Minipod MkII now in three standard colours – black, red or white – for £549 a pair. Additional colours are available on request.